Did I tell you that Purvi has started going her new school?? Oh yes. She has been attending the new school since the month of August. The thing with this new school is that, she has to attend full school two days a week. Needless to say, the long hours at school tires her out. Although she is provided with lunch and snacks at school, she comes back home with a hungry look in her eyes. Since 4:00 pm is an odd hour to have lunch, I make smoothies and keep it ready for her. This smoothie is one of those "after school smoothie"
Apart from the fact that Purvi loves this"pink" smoothie, I find it extremely easy to sneak vegetables, seeds and other healthy ingredients in her food. This smoothie is great as an after school snack or for quick healthy breakfast. 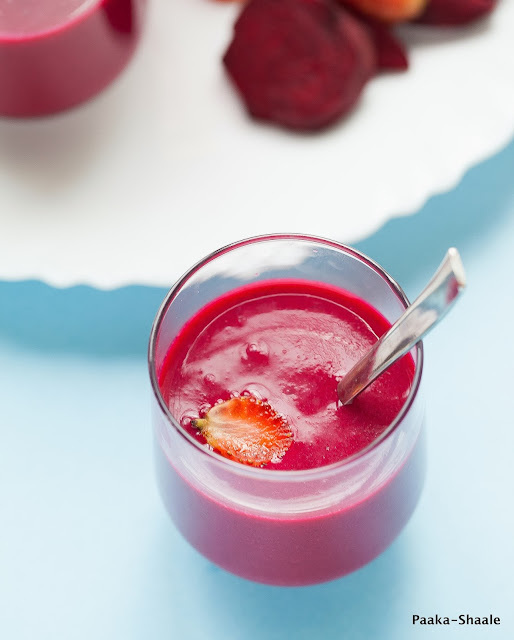 Since October is the breast cancer awareness month, I thought of making this smoothie as a way of honoring the lovely campaign. 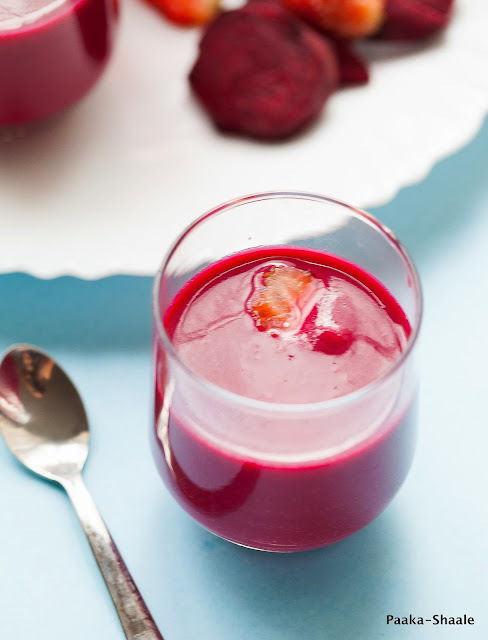 Since this smoothie is made up of all the super foods that fight cancer, I thought this is a great recipe to be shared for the Pinktober event. 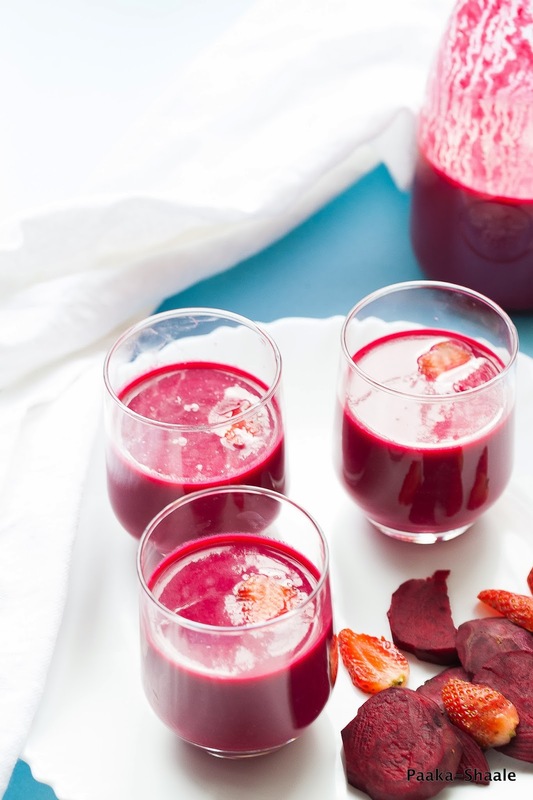 An antioxidant and anti-inflammatory packed drink that is sure to impress your loved ones. 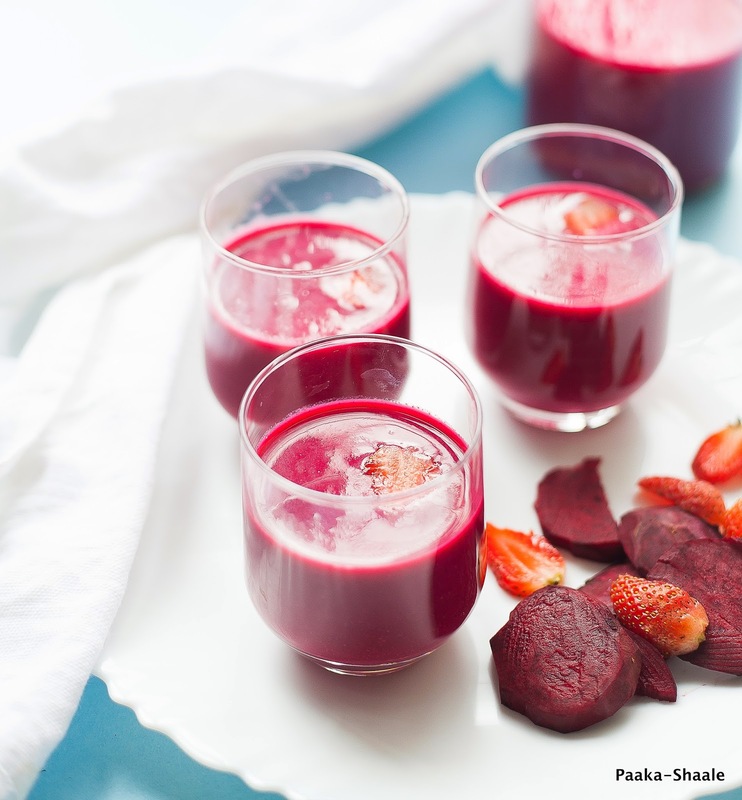 Do not let the beets mislead you from making this delicious drink. Try taking a sip from this drink and you will be happy you did!! 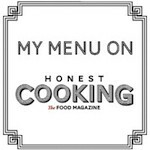 Cook the diced beets in a little water till soft and cool completely. 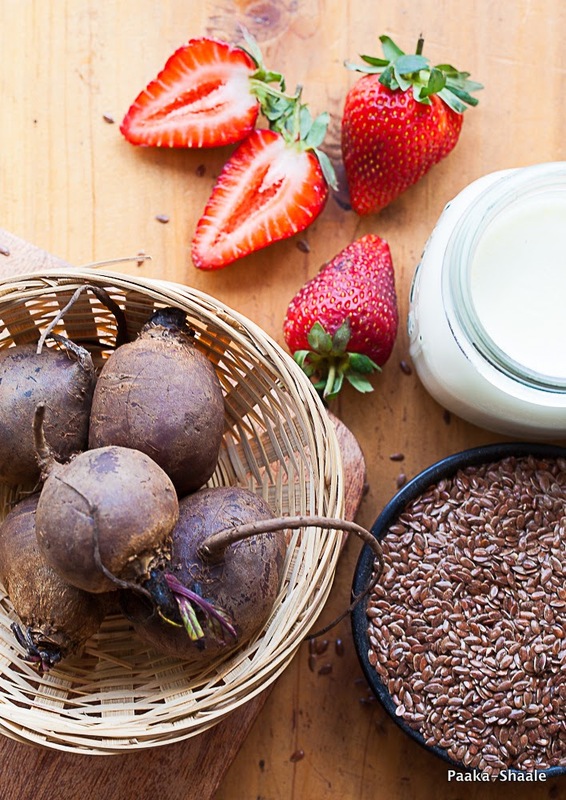 In a blender, combine the cooked beets, strawberries, flax seed powder, yogurt and milk and blend until smooth. 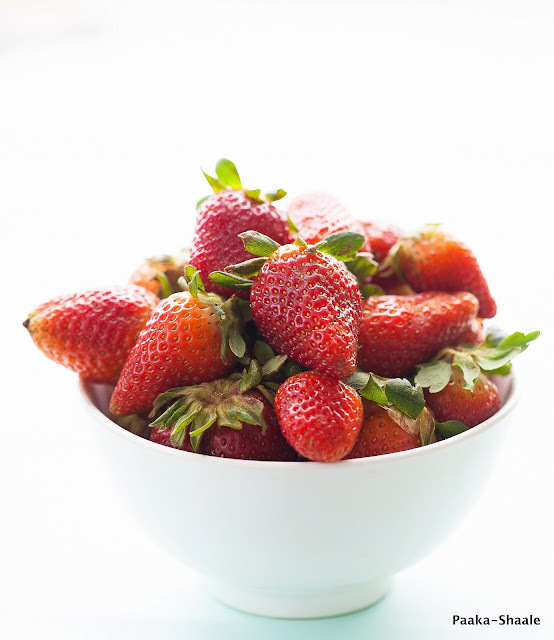 Garnish with sliced strawberries and serve immediately. Thanks a lot for sharing this awesome mix of strawberry and beetroot smoothie. Would surely try this one out. Beautiful Color, perfect for Pinktober. 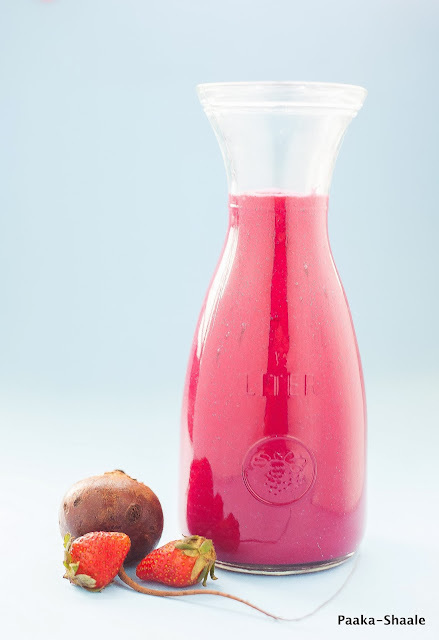 The colour of the smoothie itself is very pleasing and attractive..